Whilst reading about the many wonderfully bizarre saints out there, I chanced upon St Drogo and St Vitus - two individuals I think every student probably needs to show some love at some point in their lives. St Drogo is the patron of ‘coffee houses’ and St Vitus the patron of ‘oversleeping’. As a student (okay, even now) I frequently indulged in both - whether it was the first cup of steaming, black coffee or snoozing my ambitious 5am alarm. Coffee/oversleeping are quite mundane for most of us, yet I can’t help thinking ‘first world problems’ when I contemplate how most us would react if we had to give them both up. I could probably live with not oversleeping, but no froth-filled, chocolate-sprinkled cup of hot goodness? Doubt it. Since they’re 'obscure saints' not that much is known about them. 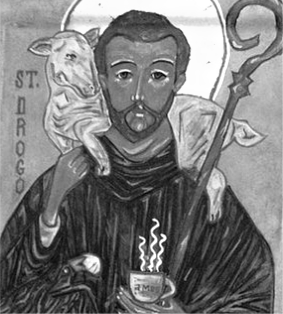 St Drogo was predominantly dedicated his life to pilgrimage, eventually becoming a shepherd then a hermit. St Vitus converted to Christianity at a young age against the wishes of his father, and was consequently martyred. So next time you enjoy that extra hour or treat yourself to Nero’s remember to send a little arrow prayer to St Drogo/St Vitus - they’ve got your back! 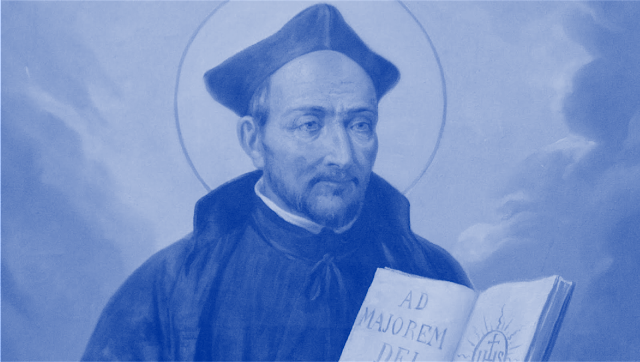 As read poem after poem, one poet who has stood out is Robert Southwell, a Jesuit who wrote some really beautiful religious poetry that he secretly sent over to England while living in exile. He is also one of the canonised forty martyrs of England and Wales. He stands out to me because not only did he stand by his faith when so many converted or hid, but he also continued to use his God given gifts and talents to proclaim his faith and attempt to convert those who were persecuting his brothers and sisters in Christ. By reading about his incredible life and faith, and reading his vivid writings, I was ashamed by just how little I knew about the martyrs who fell to defend our faith. I was also incredibly aware, by looking so closely and intimately at one single figure, that all those martyrs were all individuals with individual lives, hopes, dreams and families. They all lived differently, but stood and died for God, and I was struck by the thought that they were not just these historic figures, but people like you and me. It’s really blown me away. Through reading about St. Robert Southwell (who I really recommend you check out, he’s pretty great) I have been given a whole new appreciation for the freedom and gift of my faith, and I pray for those who live in fear and oppression because of their love of God. St Robert Southwell, pray for us. 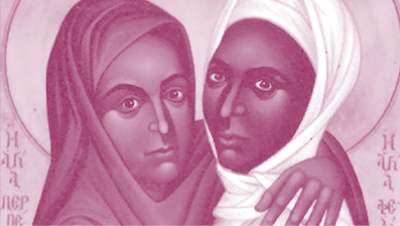 Felicity and Perpetua lived about two hundred years after Christ and both became Christians illegally. Perpetua was 22 years old, and Felicity was her (pregnant) slave girl. Both women were found out to be Christians and, unwilling to renounce their faith, were sentenced to death. Both Felicity and Perpetua were said to walk ‘joyfully as if to heaven’ as they went to their death. 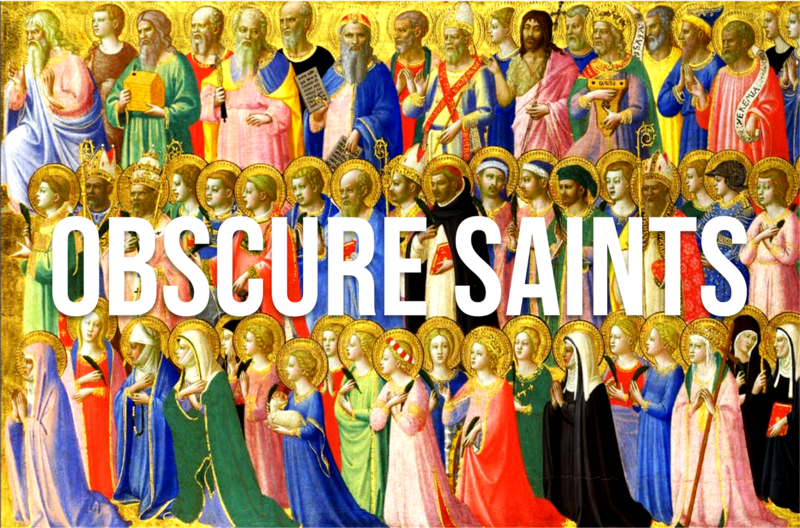 I think these women are wonderful Saints to pray to, for the grace to suffer trustfully and joyfully. Born 331 AD, St. Monica is mainly known for being St. Augustine's mum, but her story is really interesting. Raised Christian, at a young age she was married to a Roman pagan, which is tricky. Apparently, her husband was still respectful of her attempts to live her faith but her mother in law was less keen on the whole Christianity thing. All the while, Monica prays for their conversion. She has two sons and a daughter, but none are allowed to be baptised. More relentless prayer from Monica, and when Augustine reaches the age of sixteen, he and his father convert to Christianity, However, it's not smooth from there out as a mere year before his father dies, and then Augustine goes more than a bit off the rails. He is sent to Carthage to get educated where he has a son outside of marriage (not what most mums expect when their son returns from uni). However, she receives a vision telling her to reconcile with Augustine, seeks him out, and a year before she dies, she sees him reconvert. Also, her two other kids entered the religious life. She had some seriously powerful prayers. There's something about that lifetime of unrelenting prayer from a mum that I love. Monica loved a difficult family. In my experience, that's what prayer looks like, a long time, waiting on the change, but worth waiting on, and that's what Monica lived. There's a strength there, and a depth of love, that even when Augustine goes totally off the path, she seeks him out, never giving up. 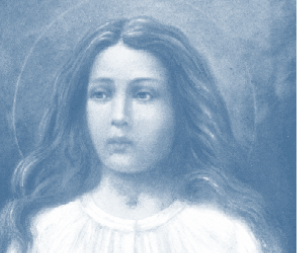 St. Maria Goretti is a virgin-martyr who was murdered at the age of 11. Her story is a humble one which radiates both the love she had for Christ, and Christ’s love for her. Born into a farming family in Italy, her love was simple but deeply profound. One of my favourite stories from her life surrounds her first Communion. She was uneducated, and being of a poor family could not be spared to receive instruction. The situation seemed hopeless, but she committed herself to finishing her work early, and doing everything possible to gain the right instruction by visiting learned people who could help her. Her conviction and her desire to receive the Eucharist was so strong that she overcame the seeming insurmountable obstacles that were before her and received Christ for the first time on the feast of Corpus Christi in June 1901. This story is a beautiful image of poverty which is permeated by trust and hope in God’s providence. It was during the sermon at her first Communion that the priest exhorted the children to “preserve their souls pure and innocent, and to die rather than commit a mortal sin”. These words were to take a particularly deep root in Maria’s heart. In 1902, aged 11, Maria Goretti was stabbed 14 times by Alessandro – a young man on the farm – for not responding to his sexual advances. She knew the gravity of sin, and she choose death over separation from God. 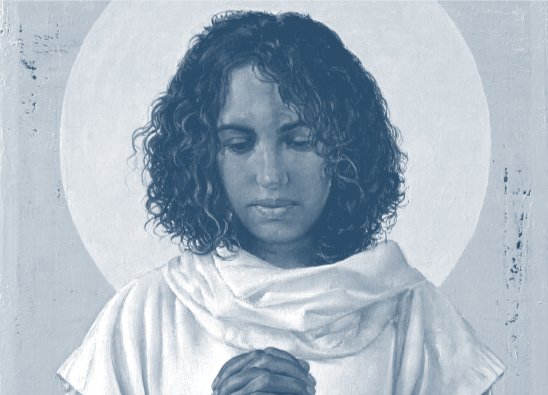 I believe that St. Maria Goretti can be a beautiful model of Piety and Purity to each one of us, and indeed a great intercessor for all young people who desire to be Saints. It’s incredible to think just how much truth was lived and exemplified during her mere 11 years of life! 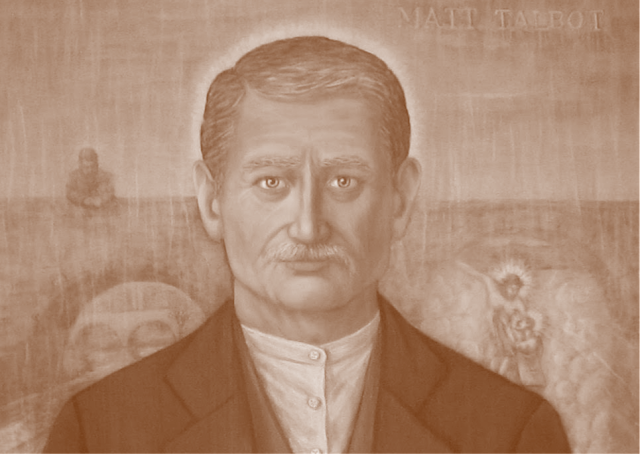 I know he is not quite officially a saint yet, but Matt Talbot is very important to me, in fact he is why i chose Matthew for my confirmation name. Ver Matt was an alcoholic, he struggled with drink and caused great pain in many of his relationships, that was until the day he met Jesus. He turned his life around through prayer and has work. He would go to mass daily, adoration, confession and often pray the rosary, followed by working hard to help feed his sisters and family. He wore chains around himself to remind him of his sin and alcoholism. He died on the streets of Dublin and he was only recognised due to people seeing him at daily mass and his devotion of prayer throughout the city. He inspires me as he is a normal man, a lay person that had a major cross to bare but perceived in his work and prayer. He is someone to aspire to.